The Two Knights Defense (1.e4 e5 2.Nf3 Nc6 3.Bc4 Nf6) is without a doubt Black's sharpest response to the Italian Game. In this all-new investigation, International Master and Senior FIDE Trainer Andrew Martin proposes that 3...Nf6 be met head-on with 4 Ng5! ?, the most aggressive reply. Original play abounds and the opportunity is everywhere to put serious pressure on Black in virtually every line. There are some superb games and ideas on this DVD! 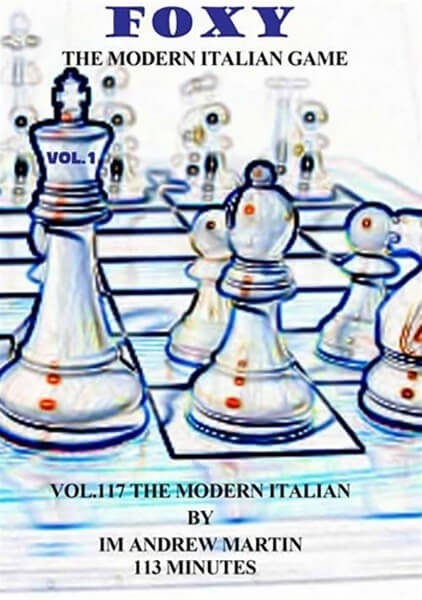 The Foxy Chess Openings Series is a timeless collection of Grandmaster openings explained simply enough to comprehend at any level. These DVDs will improve your rating and give you a greater understanding of the openings discussed, regardless of your present playing level.